Entertainment promotions on Sab TV’s Badi Door Se Aaye Hai. Bollywood’s ultimate khiladi Akshay Kumar appeared on the sets of television show ‘Badi Door Se Aye Hai’ to promote his upcoming movie ‘Entertainment’ in Mumbai on July 24, 2014. 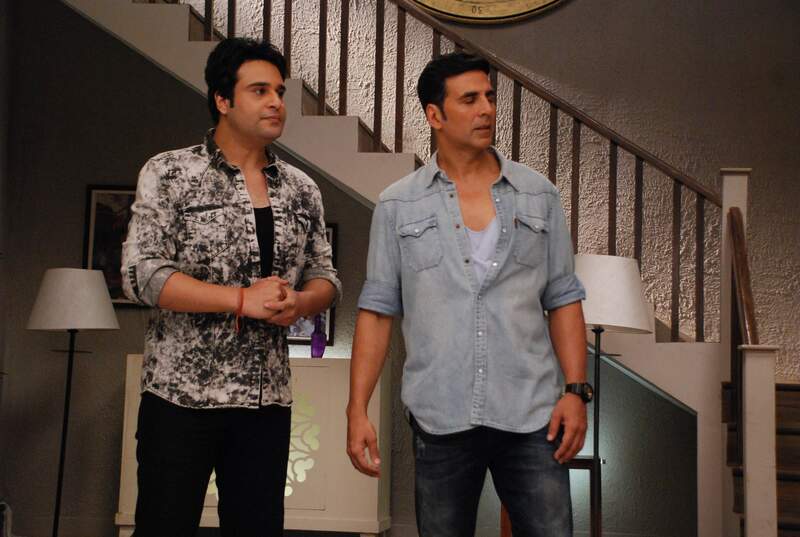 Actor Krushna Abhishek accompanied Akshay for the promotions. Akshay looked casual and stylish in a grey shirt paired with denims. 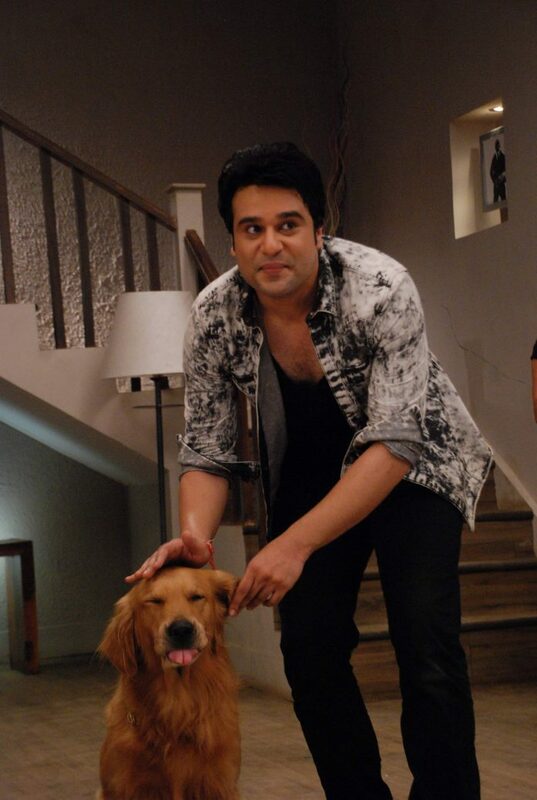 The actor interacted with all the characters of the television show that airs on Sab TV. ‘Entertainment’ is an upcoming comedy movie which will have Akshay, Tamanaah, Mithun Chakraborthy, Johnny Lever, Krushna Abhishek, Prakash Raj, Sonu Sood, Vrajesh Hirjee, Hiten Tejwani. The movie is all set to hit the silver screens on August 8, 2014.